Siren Fleet Liveaboards make a part of a big diving family and proudly share its values, all three vessels are owned and operated by World Dive and Sail International. Graceful and elegant Blue Sails Boats will never be mistaken with any else. Built for divers’ safety and comfort, Siren is an ultimate choice for your luxurious diving vacation. Destinations Siren Liveaboards provide high class diving experience across South East Asia and the Pacific. All three destinations are keeping the top positions in all international divers’ ratings as well as Siren vessels are. 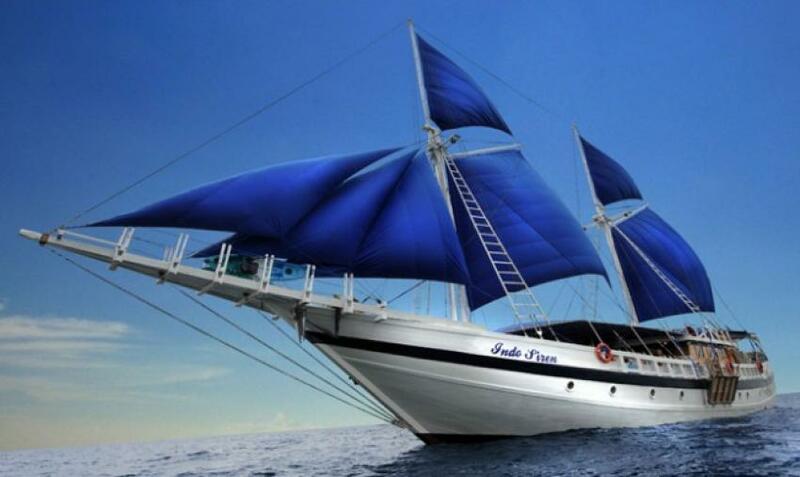 Aboard Indo Siren discover the treasures of Indonesia cruising around Raja Ampat, Banda Sea and Komodo National Park. Philippine Siren will bring you to the richest marine environment and best dive spots in Philippines:Tubbataha Reef, Visayan Islands (Cebu, Bohol, Apo, Negros) and Malapascua. Palau Siren will open the whole new world in crystal clear waters full of abundant marine life around the limestone islands of Palau in Micronesia. Featured Trips Work on your photography and videography skills aboard Siren Yachts. South East Asia and Palau have always been dream destinations for underwater photo enthusiasts. Siren Fleet has been always supporting photographers that can be seen from the boats’ design as well. Join multiple photography workshops supervised by great international photographers in Philippines, Raja Ampat and Palau. Palau Siren offers an exceptional diving cruises to witness a truly spectacular natural event. Join Palau Siren for the featuring Spawning Trips certain times of the year depending on Moon Calendar during Full Moon and New Moon. Price & Services Siren Fleet Liveaboards offer truly luxurious vacations from A to Z by providing attentive personal service, modern facilities, fun and friendly team on top of high-quality diving and tirelessly working professional crew. Siren Liveaboards are made for more than just dive-eat-sleep-repeat vacations, they ensure your diving vacation is second to none even for really demanding divers Special Offers More often Siren Fleet offers different discounts on hand-picked trips that can vary up to 25%. Sometimes there are massive sales fleet wide that are always time limited and have certain terms and conditions to them.